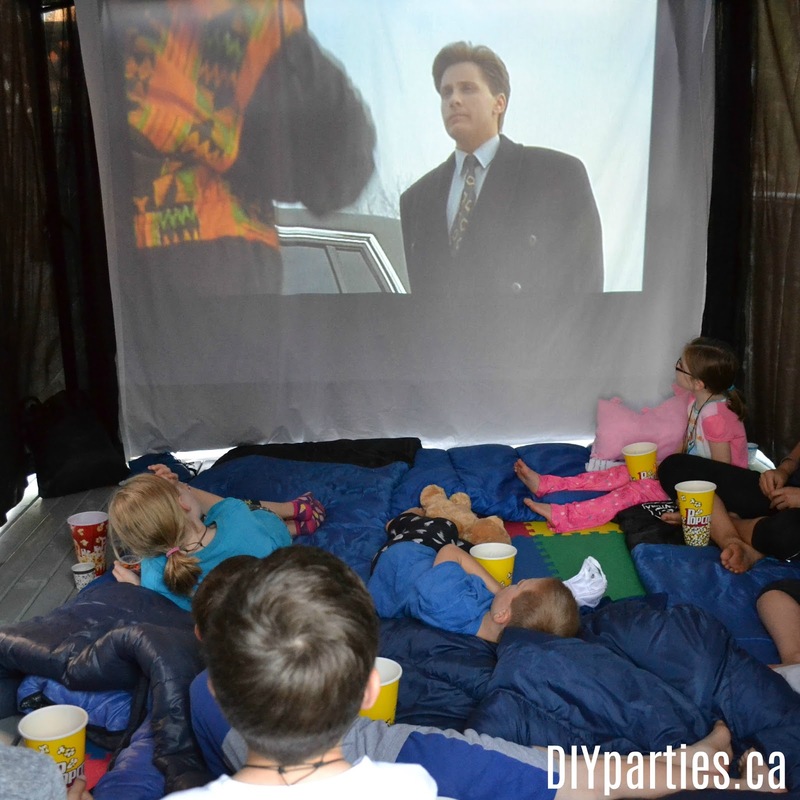 Movie nights are fun for all ages. A movie night can be a weekly event for a family, or it can be a perfect theme for a party or fundraiser. 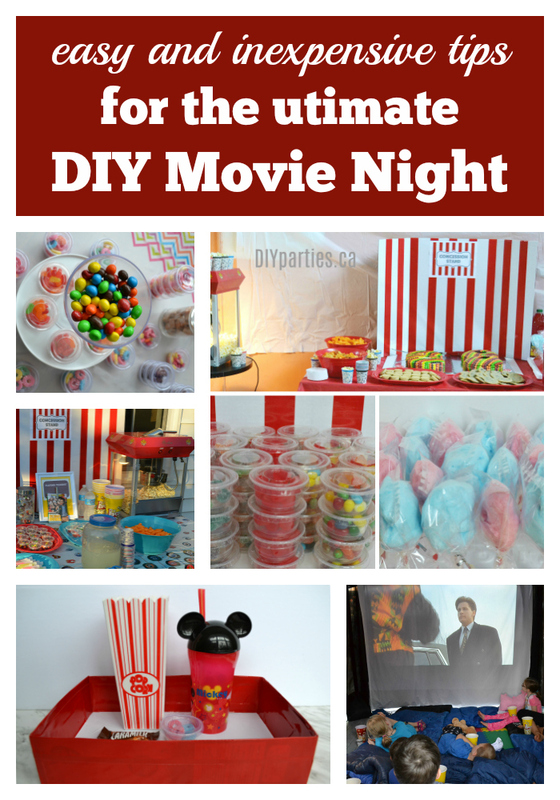 I love the idea of making a movie night special by focusing on a few special DIY details. 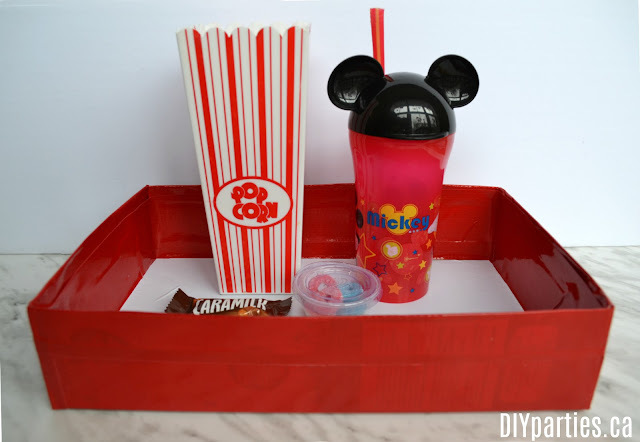 Today, I am sharing some of my best movie night DIYs, tips and tricks. 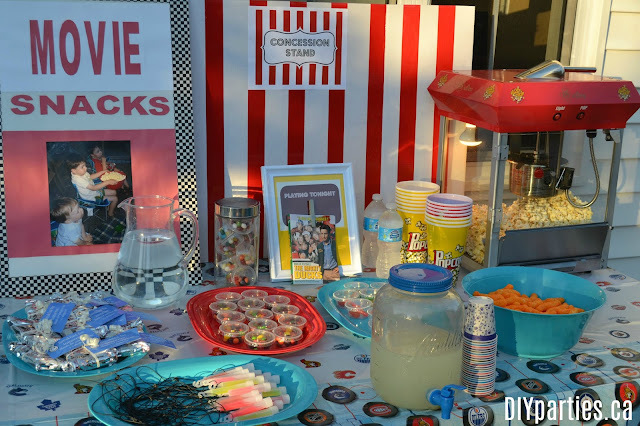 Set up a concession stand - Watching a movie is synonymous with snacking on special movie treats, so setting up a movie night concession stand is a "movie night" must. 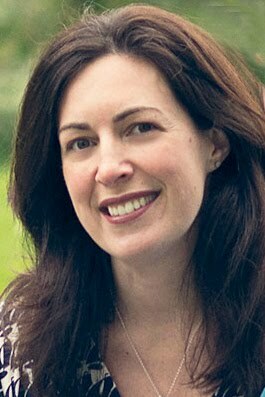 I love the idea of building a back drop from a tri-fold or piece of foam core. 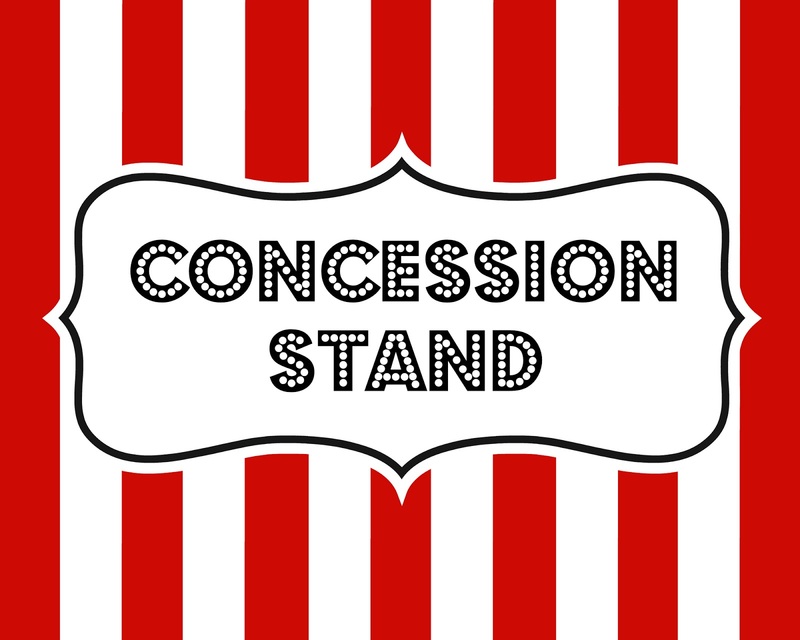 Just add stripes using red duct tape, and tape on the "concession stand" sign I designed. 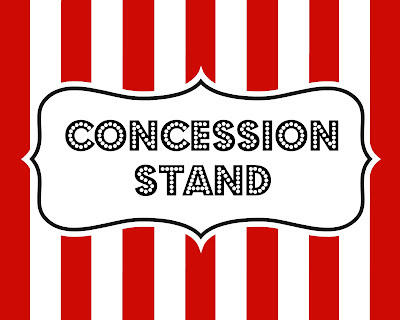 To download the concession stand sign: click on the picture below, right-click, save it to your computer, and print it like a regular 8X10 photo. Make individual movie trays for the guests - Nothing makes people feel more special than something you have created "just for them". I love the idea of turning an old cereal box into an individual treat try. Just use duct tape for the sides and contact/shelf paper for the bottom. They are reusable too! 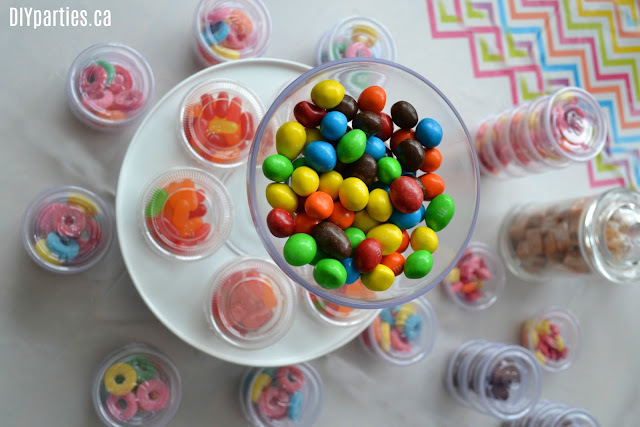 Display candy like a pro - To create a treat table that will wow your guests: use a variety of glasses and containers, use cake stands and other props to vary the heights of the goodies, play with colours, and use individual containers. Find more tips for displaying party treats here. Pick the right movie - When picking a movie for movie night, carefully consider the age and interests of the people who will be watching. Classics like "Star Wars", "Back to the Future", and "Harry Potter" are always wonderful choices for older kids and adults... and Disney movies are perfect for younger viewers. 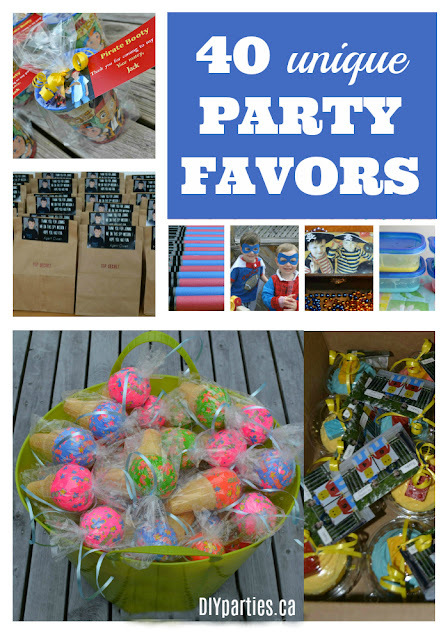 Party favours - Handing out a party favour at the end of a movie night is always a simple way to leave your guests with a positive impression of the evening. Glow sticks, a trinket related to the movie, or edible goodies for the next day are fantastic choices. I love movies, don't you? 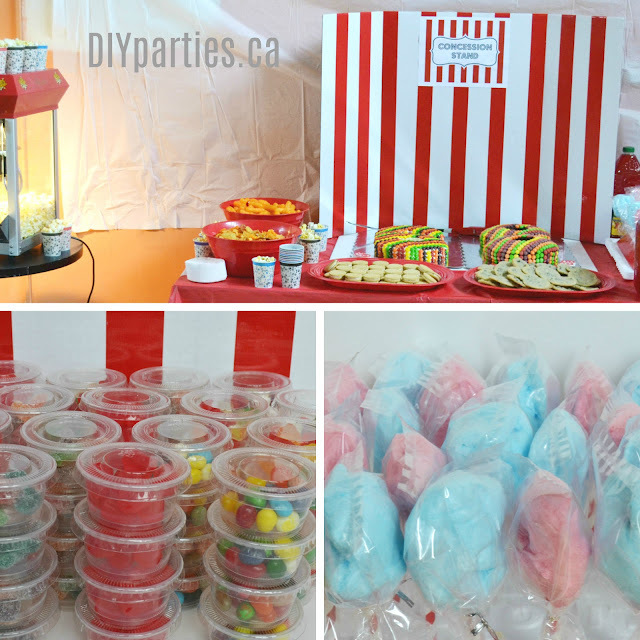 Movie nights really are a fun way to spend an afternoon or evening, and these simple tips are guaranteed to make you the perfect movie night host. I hope you enjoyed my ideas for the ultimate DIY movie night! Feel free to leave some of your best ideas in the comments below.